South Asian Mental Health Alliance – Est. 2010 – A non-profit network dedicated to mental health awareness, acceptance, support and empowerment. It was a pleasure to participate in Camp Jeevan, a local community youth camp, hosted by the local South Asian Sikh youth in Fresno, California. South Asian Mental Health Alliance was invited to speak at the camp on child and youth mental health, parenting, and the intersection of mental health recovery and faith. It was a pleasure to attend the South Asian Community consultation on July 17th with Minister for Mental Health & Addictions, Judy Darcy. The Ministry invited SAMHAA founder Kulpreet Singh and former SAMHAA chair of the board of directors, Sukhdeep Jassar, currently at Fraser Health, as well as various community front-line professionals to the consultation at Surrey Public Library. We look forward to reviewing the report and subsequent plans from the Ministry on bringing much needed improvements and reinforcements to mental health care in BC, and appreciate the opportunity to provide our input in the process. It was a pleasure to present a workshop at the Surrey Teachers Association 2018 Convention on May 4th. Along with Tasha Nijjar, Bhupinder Mattoo, and Radhika Khosla, SAMHAA’s Kulpreet Singh hosted a workshop on South Asian mental health, which featured discussions on clinical understanding of mental health, cultural context, toxic masculinity, and intergenerational trauma. Thank you to all of the teachers who attended! Check us out in the January/February 2017 issue of Desi Today Magazine, in which we talk about mental health #advocacy in the South Asian community and how to combat stigma through education. Are you interested in tips and tools on how to stay happy and healthy? Are you looking for a place to learn about mental health and wellness? Are you seeking support, guidance, or community connection to talk about mental illness? North America’s foremost event on South Asian mental health, wellness & illness. Resources and information in English, Punjabi, Hindi & Urdu! FREE event, open to the whole family! 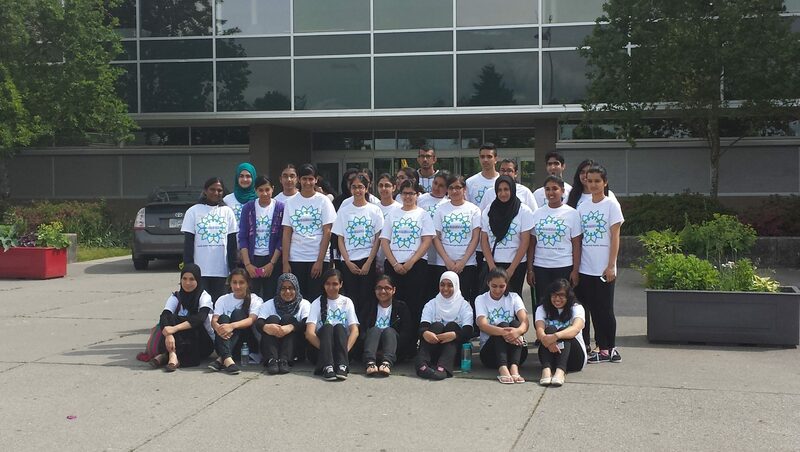 A part of SAMHAA’s mandate is to raise awareness and inspire action around mental health in the South Asian community. A major tool to engage in this effort is electronic media, specifically videos. The Vancouver Fraserview Rotary Club has generously contributed to SAMHAA’s mission with a grant to develop a video-based mental health awareness campaign. We will be creating videos in which professionals, community leaders, and families affected by mental illness will share information and insights. The video subjects will include general mental health, community mental health, depression, anxiety and substance abuse. 1) Donation of a venue (board room or office space) to conduct video recordings. 2) Mental health professionals and community leaders willing to speak on video. 3) Adults, parents, teachers, youth willing to speak on video about mental health (some conditions may apply). 4) Financial or in-kind donations of materials that may be necessary (please contact for details). 5) Volunteers willing to offer their time and expertise to help in the development and promotion of the videos (please inform us of your skills & interests). If you are interested in being a part of this groundbreaking project, please send your name, phone number and personal introduction to info@samhaa.org. The project is taking place in Vancouver & Surrey, BC but there are many ways for individuals from anywhere to contribute. Please share this post on Facebook, Twitter, Tumblr, etc. and kindly forward this info to anyone who may be interested. In partnership with Surrey Schools, SAMHAA (South Asian Mental Health Alliance) invites you to an evening of inspiration, dialogue, and learning. In this talk you will have the opportunity to learn about youth-related issues, and how peers, teachers and parents can support individuals with mental health challenges. This group session will be lead by SAMHAA’s very own Youth Ambassador Team, with support from SAMHAA volunteers, to help you gain a more in-depth understanding of a specific mental illness. You will have the opportunity to hear personal stories from individuals who have overcome challenges with mental illness, ask them questions, and share your own insights. All youth, as well as parents and teachers, are invited to attend to attend our first South Asian Youth Mental Health Forum. at Tamanawis Secondary School, Surrey. The event is geared towards youth aged 13 through 24, but everyone is welcome to attend, free of charge. Refreshments will be provided.